Without the need for professional background/knowledge or for technical and development teams, you will be enabled to implement full inquiry of Chinese HS Codes, tariff, regulatory information and Customs data in your websites or systems. 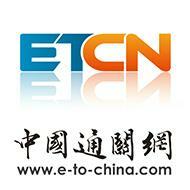 ETCN inquiry is comprehensive in contents and easy to use. We have provided customization solutions for Chinese and foreign companies, chambers of commerce and institutions. You can choose self-defined data transfer to set up the products you desire, or choose an overall embedding program to render full CIS inquiry in your own website or system. You can integrate the desired data as underlying database into your own website, system or management software. Only by adding a code segment to your website, you can invoke entire ETCN inquiry system. By embedding it into your website, you can offer value-added services for your members and clients. ETCN is professional in China Customs information inquiry, with real-time update, and capable to provide you with expertise concerning customs clearance. ETCN enables you to get the information you want to inquire, without the need for you to keep a development team, undergo long product design and development cycles, spend time researching China Customs, or to collect information and build a database. ETCN provides high flexibility in data format and inquiry mode, enabling you to customize contents and modes as required by your own website or system.